The 'Diablo' ninebark is a shrub that can grow nearly 6 feet high. It is adaptable to many conditions and can serve as a border in a yard or a windbreak in larger settings. In the early summer, it produces red and pink flowers. Like other shrubs, however, you may want to limit its size, which requires some trimming. 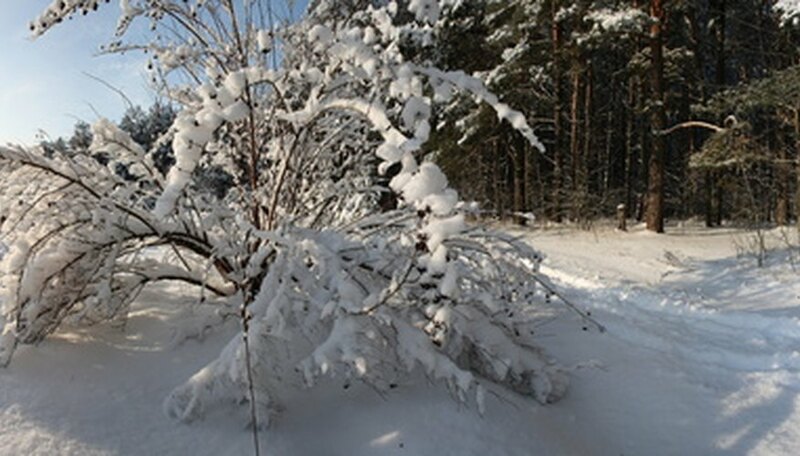 Horticulturists recommend waiting until late winter or early spring before pruning. Identify the size and shape you desire in the shrub. The Diablo ninebark can grow as wide as 10 feet. Search for a smaller branch that is located on the outer side of a larger branch. Cut away the larger branch at an angle with sharp pruning shears. This will allow the smaller branch to grow. Remove older canes or branches that are no longer providing flowers every one or two years. Cut these unproductive branches at ground level with lopping shears. Wear sturdy work gloves when trimming shrubs.